Enter a value in mm. 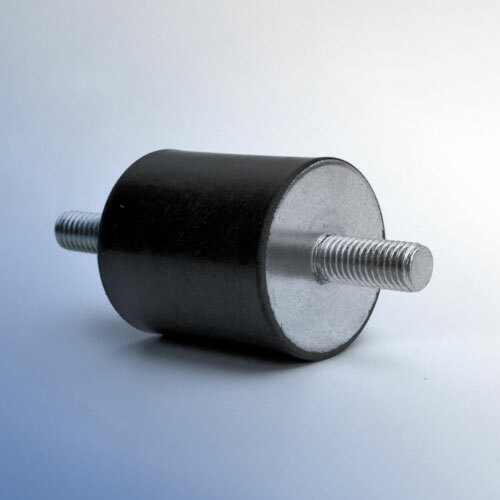 Polymax are a world leading manufacturer of industrial anti vibration bobbins. 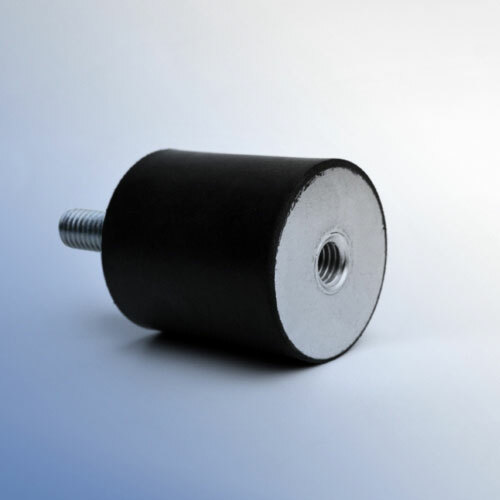 Polymax specialise in providing a large range of cylindrical mounts, in 5 main types. Offering a 24 hour shop for that last minute or urgent order, this matched with our standard and trackable next day deliveries you can be assured to get what you need when you need it. 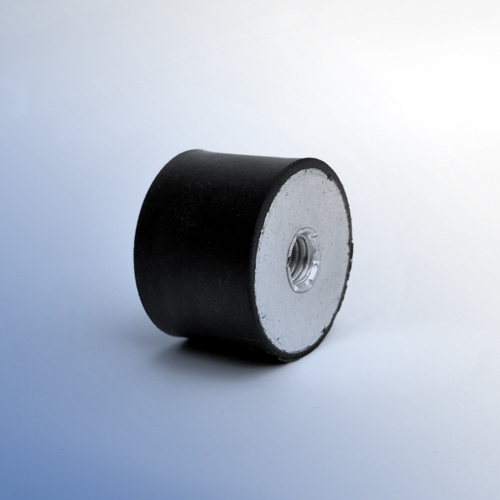 Polymax offer a superb vibration isolation for a variety of applications ranging from engine mountings to compressors. Polymax keep a large stock of popular sizes, with a variety of studs and stud lengths. With the large variety online, Polymax offer specialised help in regards to maximum loads and customer sizes. Should you like to discuss your application further please call us on +441420 474123 for further information. Mineral oil products (oils, greases and fuels), steam, aliphatic, halogenated and aromatic hydrocarbons, phosphates, concentrated acids and alkalis. Silicone possess excellent resistance to temperature extremes. Silicone's retention of properties at high temperatures is superior to other elastic materials. Silicone has poor tensile strength, tear resistance and abrasion resistance. Available with the following Approvals/Certifications. Please call for further information. Excellent resistance to weathering and ozone, water and steam, with good performance in castor and some phosphate ester based fluids. 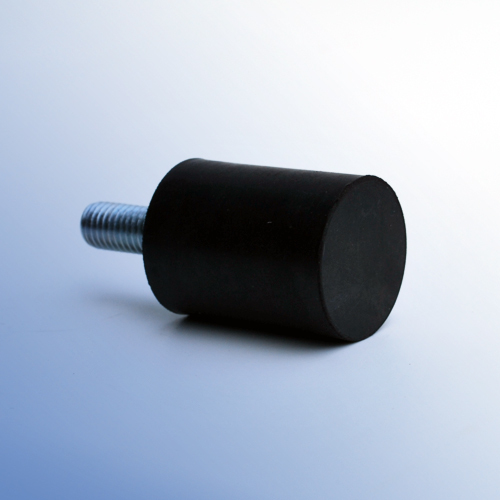 It's low and high temperature capability is good, having excellent resistance to set with good resilience. Also high temperature braking systems employing castor based fluids for mouldings subjected to weathering and ozone and for seals in chemical plant due to its good chemical resistance. EPDM is particularly useful when sealing phosphate-ester hydraulic fluids and in brake systems that use fluids having a glycol or silicone base. This results in a highly fluorinated elastomeric compound with exceptional temperature resistance, compatibility with a wide range of aggressive chemical combinations and outstanding resistance to permanent deformation. Good resistance to mineral oil (eg ASTM oil no 1), silicone oil, ammonia, ethanol and dilute acids. Ketones, esters, ethers, halogenated and aromatic hydrocarbons, phosphates, concentrated acids.